Build perfect little wardrobes for spring days out and summer holidays. For gifts or treats, visit Disney where they will find their favourite characters. Disney Wisdom Collection Part 4 of 12 releases on 18th April*. This month sees the release of Piglet and celebrates the most memorable ‘Words of Wisdom’ from the iconic Disney story. Visit the Disney Store for more details. *A ticketing system will apply and the purchase limit for pins will be 1 per guest. Explore intergalactic range of Captain Marvel clothing, costumes and more. Available in store now on the first floor. Introducing the latest characters to join Disney Store’s Tiny Big Feet Collection! Meet Bambi, Thumper and Miss Bunny, the cutest new collectible soft toys for adventures BIG and tiny. Available in store from Friday 29th March. Polarn O. Pyret have designed quality childrenswear for over 40 years. All of their PO.P Originals are made from 100% soft organic cotton, gentle against the skin and perfect for keeping you little ones warm and snuggly. These special details ensure their classic stripes are kid-friendly, mum-friendly and planet-friendly too! They have everything you need to refresh his Spring wardrobe. Give him a stylish start with layering pieces, such as tops, jumpers and cardigans. Pair with cargo trousers and colourful coats for outdoor adventures. Build perfect little wardrobes for newborns, baby boys and girls with clothing, pyjamas and accessories at The Little White Company on the first floor. Rutland Cycling have a range of Frog Children’s Bikes to get the little ones zipping round the city, starting from £109.99. 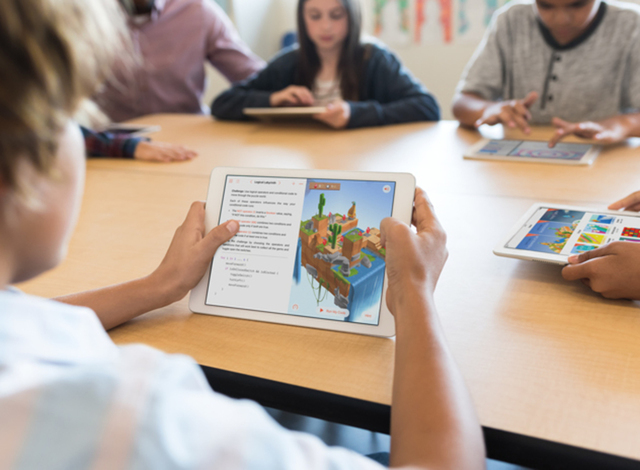 Apple are offering weekly creative sessions for kids to spark their creative imagination. They can get involved in fun, hands-on projects including coding, storytelling, illustration, movie making, music and more! So wherever their interests lie, Apple have something to get involved with. Click above for more info.